Custom ceramic mug holds their favorite beverage—and your image! 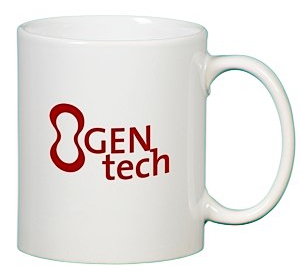 Use the personalized coffee cup as a giveaway to help build brand recognition, or stock your office cupboards full to build team unity. Doubles as desktop storage for pens, pencils and other accessories.